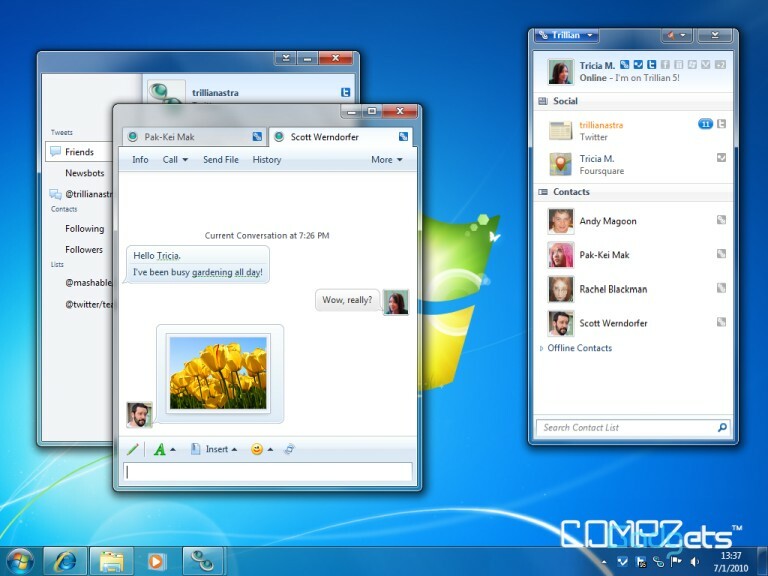 Trillian for Windows' clean and pleasant user interface has been carefully designed to smoothly integrate with Windows 7. 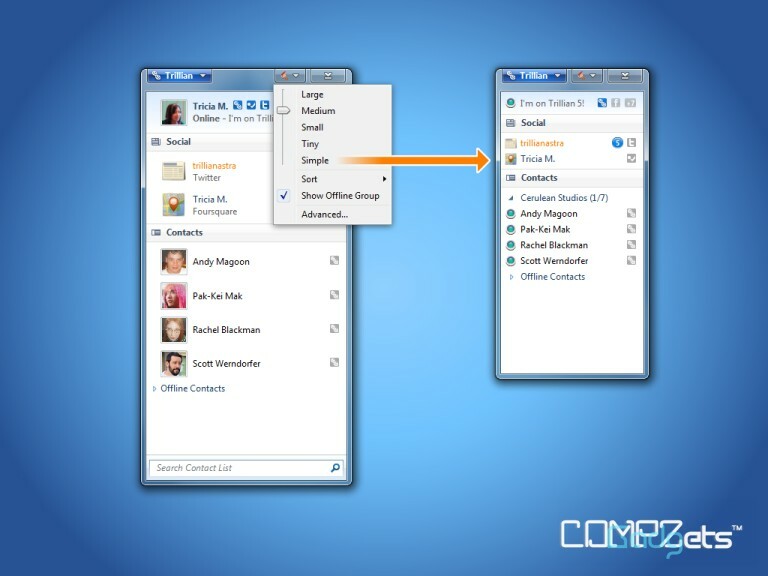 Never miss a message again. 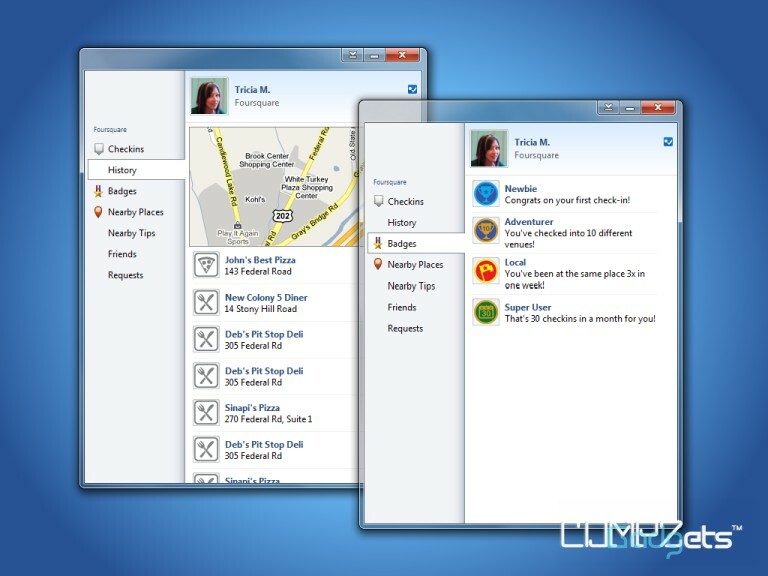 Trillian's chat history can be automatically shared between desktops and phones! Our newly-supported Foursquare plugin lets you meet up with new friends and discover new places! Stuck on a netbook with a tiny screen? No problem. 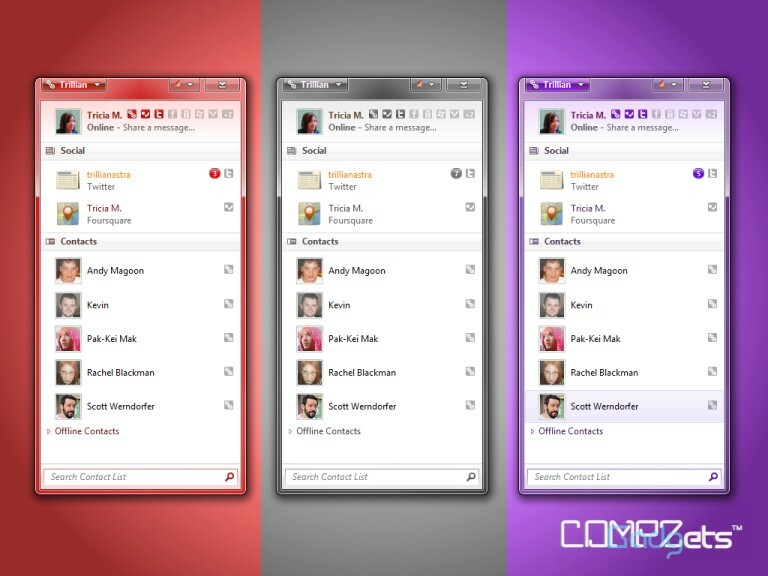 Switching between our full and compact user interfaces is only a click away. 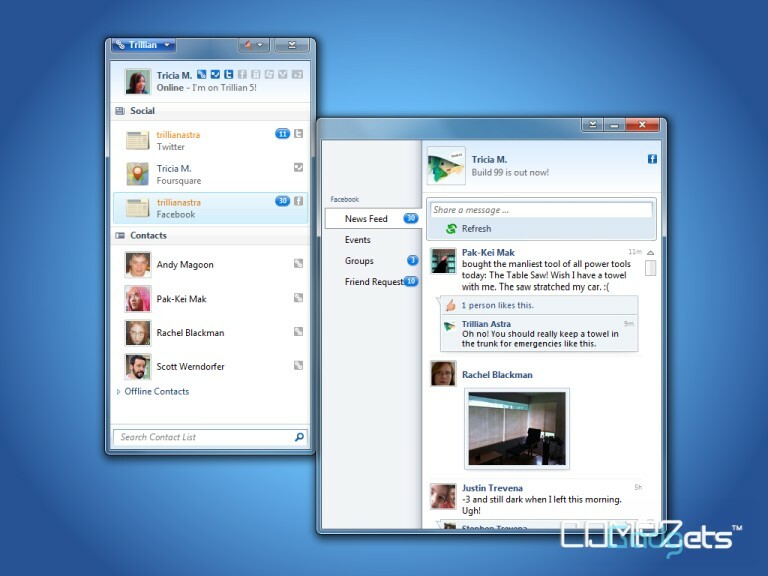 Trillian 5's Facebook, Twitter and LinkedIn support is fast, uniform and integrated. Comprehensive. More feeds, like Facebook events and Twitter searches. Flexible. 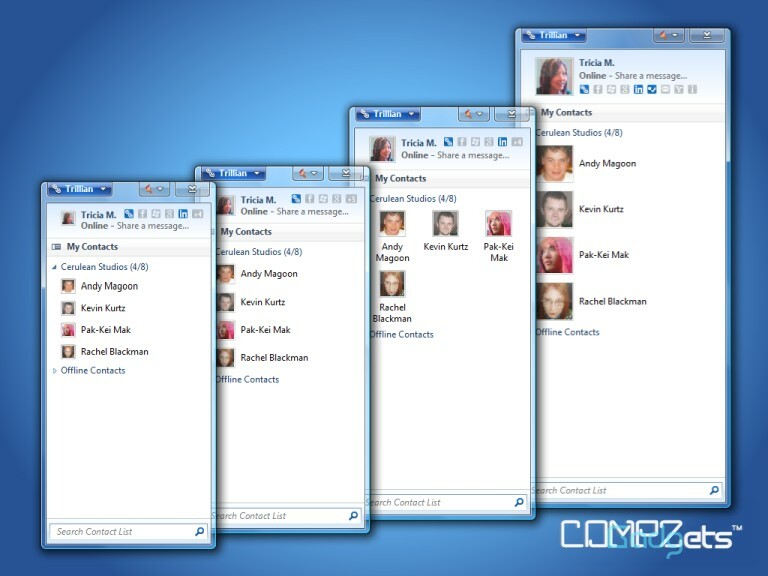 Store feeds in your contact list or system tray. Quick. Instant updates are just one click away. Interactive. Like and comment directly within Trillian. Detailed. Links and pictures are expanded for you.